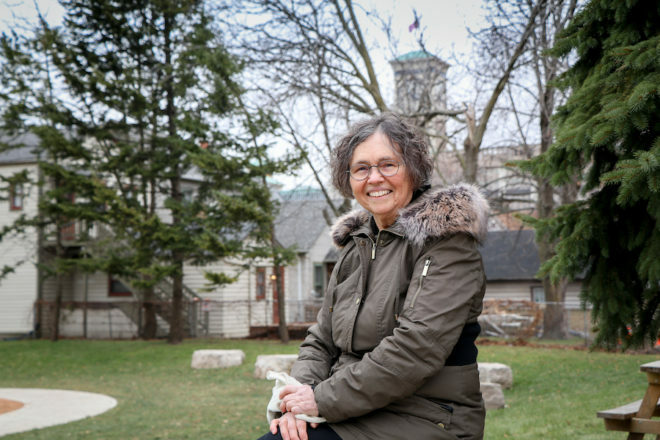 Margaret Rozga, 2019-20 Wisconsin Poet Laureate. Photo by TJ Lambert, Stages Photography. The Wisconsin Poet Laureate Commission has selected Margaret “Peggy” Rozga of Milwaukee to serve as the Wisconsin Poet Laureate for 2019-20. The state’s poet laureate plays a crucial role in keeping the arts accessible and vital to all age groups, and the individual acts as a statewide emissary for poetry and creativity. For more information, visit wisconsinpoetlaureate.org.